European Commission President Juncker has published the long-awaited report prepared in collaboration with the presidents of the European Council, the Eurogroup, the European Central Bank and the European Parliament. The aim of the report is to prepare a roadmap for the completion of EMU, which is “not an end in itself” but a “means to create a better life for all citizens”. The aim of this blog is to discuss a few of its key elements. (1) The institutions are to be congratulated for pursuing this work. In my assessment, monetary union is not sustainable in its current set-up. Unemployment remains too high, growth too weak, political tensions too large, financial fragilities too substantial. Combined, these factors suggest that major frictions or fault lines will continue to characterise the euro area and could eventually lead to its disintegration. (2) It is positive that all central elements remain on the table. Economic, financial, fiscal and political union will all continue to be the subject of discussions. (3) The report shows realism on process. While one can criticise the timeline for not being ambitious enough from an economic and social point of view, the report is probably realistic in terms of the political willingness to move forward. 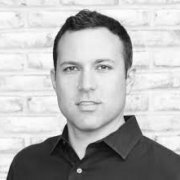 The idea to prepare a White Paper with concrete next steps is also a sign of realism. However, it would be preferable for a political group, not an expert committee, to prepare this work. Ultimately, the goal for the next two years should be to build a political, and not just technical, consensus. (4) The report is right to put significant emphasis on structural divergence within the euro area. By the beginning of the crisis unit-labour costs had diverged by 20-30 %. Since the beginning of the crisis there has been some correction in small periphery countries, but the big three (Germany, Italy and France) have only just started to rebalance. Such divergence has major implications for employment, for industrial activity and also for current accounts. Current account imbalances have largely corrected in deficit countries through a combination of demand compression and export increases. However, the current account surplus of Germany has, if anything, increased in the crisis years: a state of affairs that has been criticised by the Commission. Broadly speaking, a solution to this divergence is vital to put the euro area on a sustainable footing. A solution will require work in all three largest countries, and only a symmetrical adjustment of this divergence is politically viable . Since this adjustment requires action by many actors at a national level, the presidents’ report proposes as André Sapir and myself have also suggested, to create national institutions, so called competitiveness councils, similar to the Belgian competitiveness councils. These national councils need to be coordinated to achieve symmetric adjustment. 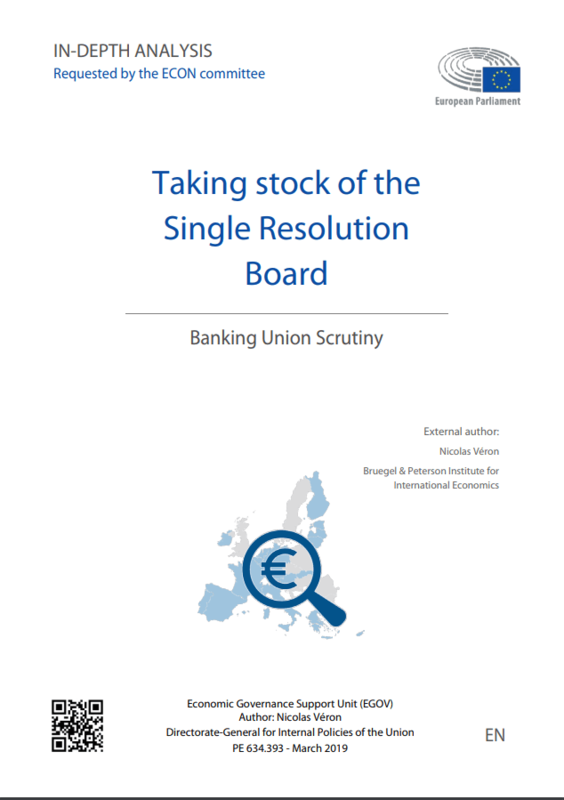 (5) The report also rightly makes finalising banking union a priority. The main elements missing to date are a proper backstop to the single resolution fund and an adequate system of deposit insurance. The proposal to create a deposit re-insurance mechanism was made by my colleague Nicolas Véron and also features prominently in our analytical work on banking union. Arguably, an ESM credit line and a deposit re-insurance system can already be established within the current EU treaties. (6) The institutions’ thinking on fiscal union has developed significantly. The earlier “van Rompuy report” emphasised the need to create a common budget. The problem with creating a central budget, however, was always that it could not provide an appropriate fiscal stance for the euro area as a whole. Instead, its main purpose was to create a risk-sharing mechanism to allow support for a more expansionary budget policy at the national level. The euro area needs both elements but arguably the former more urgently than the latter. True fiscal risk sharing, for example through a European unemployment insurance system, is contemplated but arguably more difficult to achieve than better and more coordinated national fiscal policies. 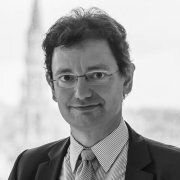 A shift towards constraints on fiscal policymaking at the national level, which would uphold a proper area-wide fiscal stance, and the creation of a European Fiscal Advisory Board to confirm when exceptional times require binding decisions at European level is a good development (see our arguments here). (1) The report missed an opportunity to question the current system of fiscal rules. It is evident that these rules are economically questionable and practically impossible to implement, inter alia because they are based on unmeasurable concepts such as potential output. It has also become clear that fiscal policy is at the heart of political decision-making and therefore not suitable to be governed only by rules. Instead, the report should have shifted the emphasis onto the fact that the euro area needs a system in which political decisions on national fiscal policy become joint decisions (at least in exceptional times) with appropriate national and European legitimacy. (2) As regards democratic legitimacy, the report contains many elements, but I think the central point could have been made even clearer. When we enter a system in which European decisions in exceptional times can constrain national policymaking, legitimacy has to come from elected parliamentarians. The key challenge will be to find the right way of involving the European and the national parliaments. The current debates around Greece remind us that we are still far from an optimal set-up, to put it euphemistically. (3) The report fundamentally fails to reflect on the role of non-euro area countries, but instead sticks to the outdated fiction that all EU countries will eventually join the euro area. After the UK elections and with euro-critical parties gaining strength in several other EU countries, this is a big omission. Arguably, a two-speed Europe is becoming the baseline scenario and we should find ways of organising this. (4) The report fails to openly accept and thereby push the debate on the necessity of treaty change. This may be a tactical move in the hope that the expert group preparing the White Paper makes such a recommendation. However, as argued above, it would have been better to start the political discussion now and for these discussions to also touch on the key elements of unavoidable treaty change. (5) The report puts too little emphasis on crisis resolution. It is not the role of such a report to discuss current macroeconomic policies. However, the report could have emphasised one important issue that will facilitate crisis resolution: how to deal with public and private debt. As regards public debt, the goal should be to reduce the exposure of banks to sovereign debt. This will make debt restructuring easier should it become necessary. As I have argued before, the introduction of single exposure rules should be high on the agenda now, as the ECB’s quantitative easing programme provides ideal conditions for such a step. It is a mistake in the report to leave this to the medium term (see last paragraph of section 3.1). The private debt overhang is still substantial in many euro area countries. Better principles for insolvency legislation should be defined in order to facilitate a quicker and more orderly process of winding down this debt burden. 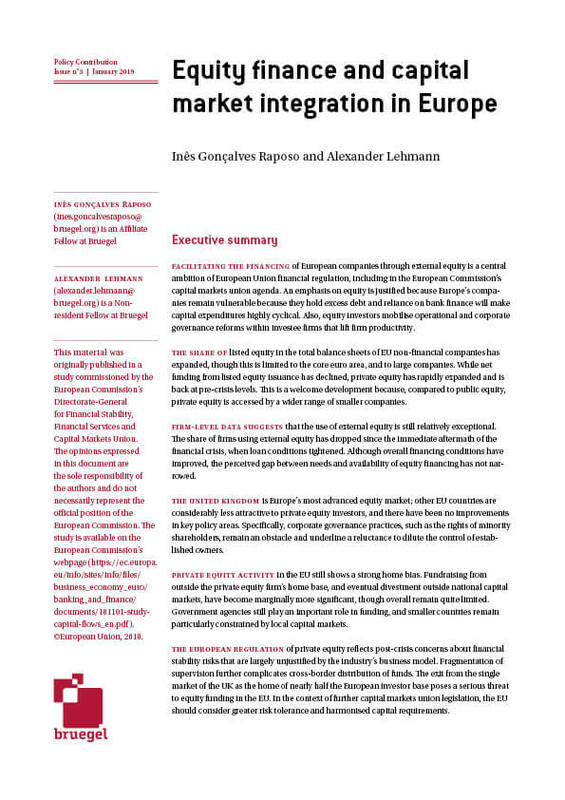 (6) Finally, while the report is right in pushing the agenda on deeper financial integration through a capital markets union, it is perhaps unrealistic as regards timing. The structure of Europe’s financial system will change only gradually and therefore it cannot meaningfully contribute to short-term recovery. Germany needs to unleash its sources of growth and create demand (more investment, lower taxes for low income households, gradual increase in wages, shift of economic structure towards services), while France and Italy will have to work on increasing productivity and working time to reduce their unit labour cost relative to Germany. See for example /nc/blog/detail/article/1476-france-and-germany-a-moment-of-truth.